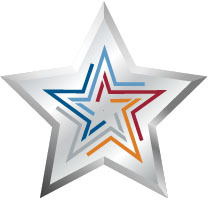 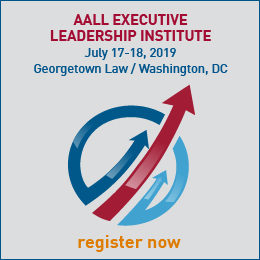 *Must upgrade by June 13, 2019, for 2019 AALL Annual Meeting recognition and complimentary Association Lunch ticket and to be listed in the September/October 2019 issue of AALL Spectrum; members who upgrade after June 13, 2019, will receive 2020 AALL Annual Meeting recognition and complimentary Association Lunch ticket and will be listed in the September/October 2020 issue of AALL Spectrum. 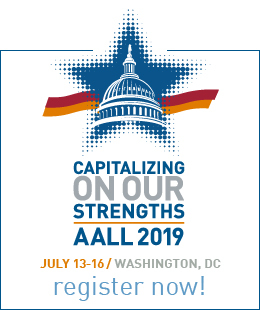 AALL Champion My Communities badge. 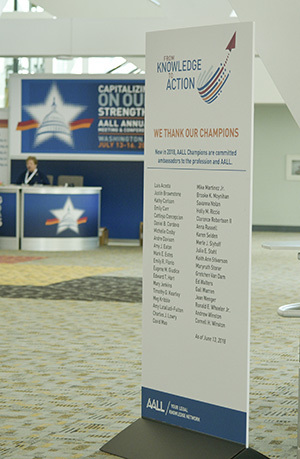 AALL Champion signage at AALL 2018.